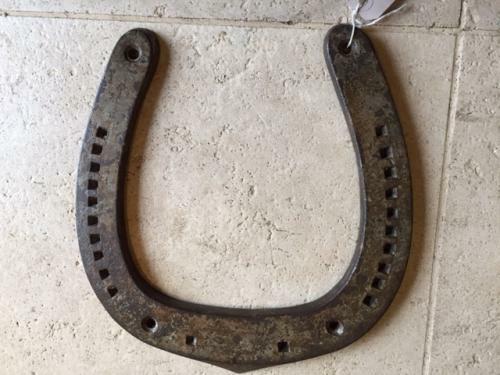 Giant size horse shoe, originally fixed to a blacksmith's/farrier's door as a sign of his trade. Far too big for even a Shire Horse this shoe woud have been fixed with open loop facing down which was the traditional sign of the Blacksmith. There are orginal extra holes where it was screwed to the door and some original paint.